To the uninitiated, SEO, or Search Engine Optimization, is a subset of digital marketing that is used to drive traffic from search engines to websites, without paying for ads. Here’s a quick rundown of how it works. That might not sound like a lot of fun on its own, but the industry is. I’ve been a part of it since 2011, and since then the market has gone through more changes than most industries see in an entire lifetime. But through it all, SEO specialists are still in high demand, and plenty of them are pulling in over $100k a year from a skill set that doesn’t really require a college education. The flipside of this is that you can’t really learn SEO in school. The industry changes too quickly for formal education to stay relevant, and it’s ultimately too niche for anyone to offer a major in it. 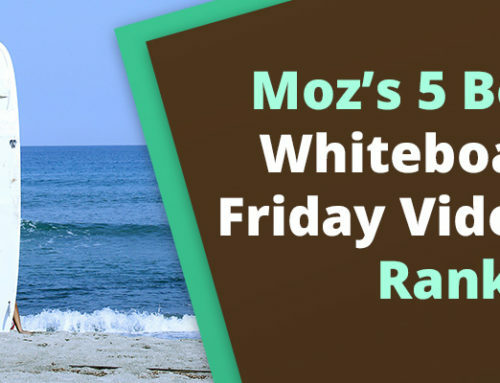 Moz is one of the biggest and most respected publication in SEO, and for very good reason. Their beginner’s guide to SEO is absolutely free and it’s better than any paid resource out there. Start by reading it. Yes, all of it. Afte that, you might want to head back to their SEO learning center, or check out their awesome Whiteboard Friday video series. Not all SEOs have web design skills, but it’s important to have some rudiments down. CodeAcademy is another good choice, and W3Schools is a halfway decent reference, but you don’t have to get too deep into them for now. The important thing is that you recognize the main building blocks of a website and how to use them, so when someone says “that anchor tag is dofollow” or “that tracking script needs to be called before the closing body tag,” you’re not just standing in the outfield and picking your nose. By now your head is probably swimming from a little information overload, so let’s focus it on the important stuff. Moz’s 2015 search ranking factors, Moz’s 2017 local search ranking factors, and Local SEO Guide’s 2016 local SEO ranking factors all tell slightly different sides of the same story. All three resources are built to show you all ranking factors in order of importance, so you’ll know where to focus your energy. They all differ in focus, year, and data collection methodology, but they all tend to agree on the big picture. We’re already up to the moment of truth. At this point, it’s not worth learning more until you get your hands dirty. The easiest way to start here is to find someone who already has a business that could benefit from SEO. Start small: a family friend’s yoga studio or the laundromat down the street would be perfect. Be up front with them that this is your first project, and either do it for free or charge enough to cover your costs. At this point, you just need a foot in the door. 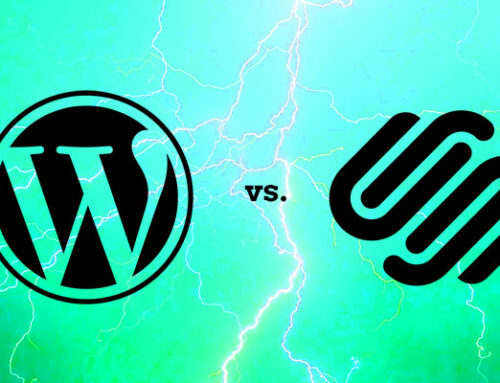 If they don’t have a website yet, consider learning WordPress if you want to get into web design, or slapping something together in Squarespace if you don’t. While Squarespace’s sites are far from perfect (especially when it comes to SEO), it’s extremely easy to use and gets enough of the fundamentals right to be passable. Go on, just do it. It will be fun. If you got your first project to cover a few costs, consider buying into a good SEO tool. If you can manage $100 per month, give it to Ahrefs or Moz for an all-in-one suite. You can also shave a couple bucks off by going with Majestic instead. Either way, make sure your site is set up with both Google Analytics and Search Console. They’re free and you have no excuse not to use them. As long as you don’t do anything shady, like trying to spam up directories or buy links, there isn’t much to worry about here. Just keep the business owner in the loop, be honest when something goes wrong (which it will), and keep at it until you see some results. It’s a messy process that requires a lot of trial and error, and that’s all part of the fun. Once you see real results from this project, congratulations. You now have a skill you can charge for. Reach out through your network for new projects, or start looking for entry level positions. You’re already prepared for them. Find good blogs to follow, like the Moz blog, Yoast’s SEO blog, and Search Engine Land. Find good discussions and places to ask SEO-related questions, like inbound.org, Quora, and Facebook groups. Find good mentors to follow. The more you learn, the more you still won’t know. But as long as your laundrymat or yoga studio is beating the other guy’s, you’re doing something right. Here’s where the money happens. Since it’s impossible to learn everyting there is to know about SEO, your best chance at steady and lucritive long-term employment is to develop into a T-shaped marketer. No, that doesn’t mean you need to work on your shoulders and drop a few pounds. Instead, learn enough about every discipline in web marketing and SEO that you can at least have a conversation about it, and then specialize in one aspect that resonates with you. That could be local SEO, ecommerce SEO, international SEO, user experience, link building, reputation management, blogging, or even just specializing in one industry, like SEO for marijuana businesses. The options are pretty much endless here. Once you’ve developed a sturdy T shape, it’s easier to find new projects—and jobs—that you’re prepared for. Or, at the very least, share this advice and help me grow my empire, okay?